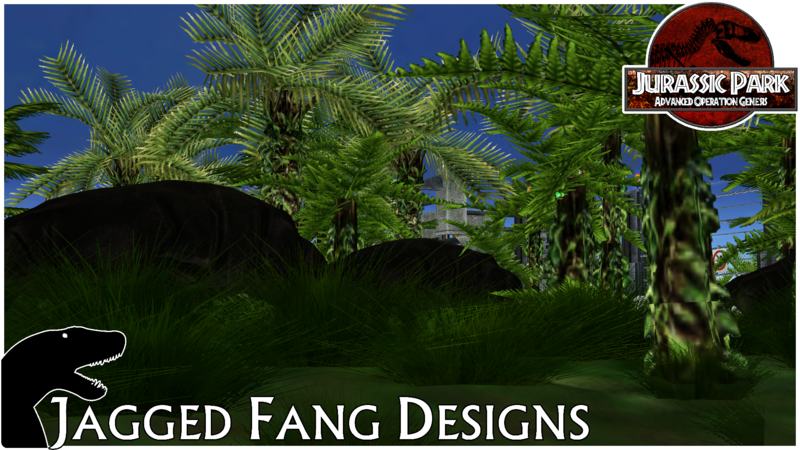 Welcome one and all to Jagged Fang Designs. A trio of people dedicated to bringing the past to the present through modding various games. We consist of Okeanos, Similis and myself SynchroLight each one of us dedicated to bringing these amazing animals back in different area's. Without further ado however we shall reveal our first project. 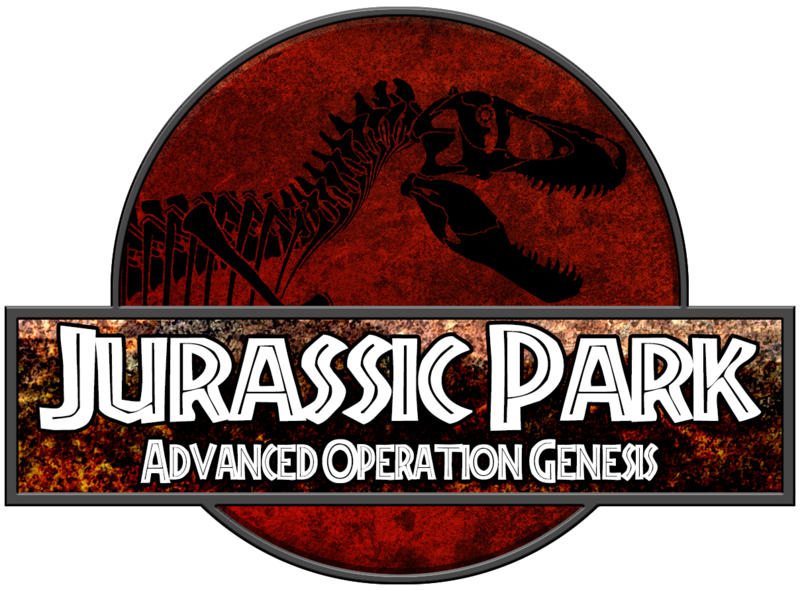 Advanced Operation Genesis came about after an amazing tool produced by Equinox enabled people to add new models into Jurassic Park Operation Genesis for the first time in the games fifteen year life and we here at Jagged Fang Designs jumped onto the chance with vigour and glee at the thought of at long last fully being able to mod a game that for all of us has been instrumental in our collective experience in our respective fields. Now we shall reveal our first completed animal, we present to you all Smok wawelski, a gargantuan Archosaur from the Late Triassic of Poland and having the distinction of being among the largest, if not the largest, carnivore present on Earth at the time. Smok wawelski for all its ferocity is a 2 star rating animal. While Smok is an impressive predator and a beautiful animal its fearsome attitude more often than not deters people from observing it through sheer terror, Smok will however wow those of your guests who would call themselves 'Thrill Seekers' and most certainly strike a cord with those who are after a very 'Big Scaly Monster' experience from your park. Smok is a highly agressive animal that naturally knows no fear, willing to challenge even Dinosaurs several times its size, thus it is heavily advised that you give your Smok a large exhibit far away from your other carnivores including any other Smoks you may be keeping. As implied above Smok is not a friendly animal towards its own kind, cannibalism was a common occurrence during the early days of Smoks reintroduction into the world, now twelve years after the first Smok was bred it is known that Smok is not only solitary and agressive but pecularly has a tendency to stay near water, this is theorized to be due to the fact that the site Smok was found at was a massive floodplain and it is further theorised that as a result of this Smok most likely used the greener skin on its back to help it blend into the blooming of foliage come the wet season. This concludes the introduction to Smok wawelski, the King of the Triassic, we hope that when the time comes you will choose this amazing carnivore to exhibit in your park and keep these guidelines in mind. 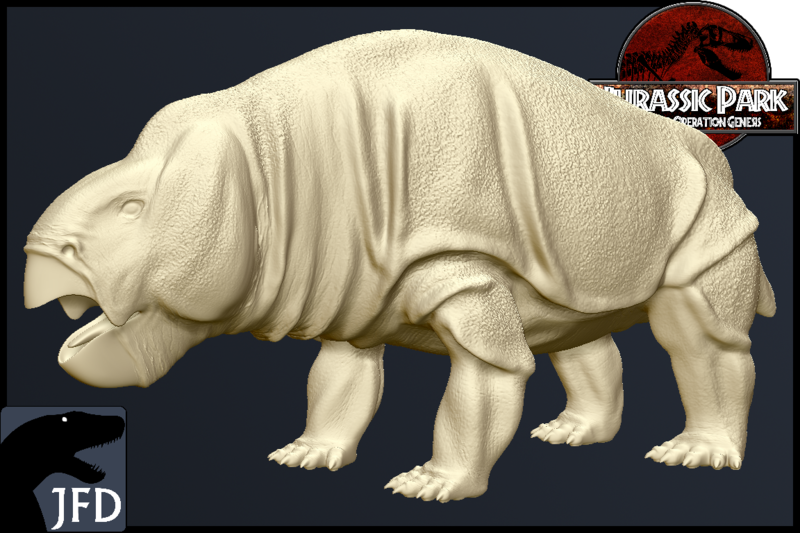 Now without further delay we would like to present the second completed animal of Advanced Operation Genesis, a gargantuan Russian Dicynodont known as Elephantosaurus jachimovitschi. Elephantosaurus is the single oldest animal to be brought into the present day hailing from the Mid-Triassic of what is now Russia. A somewhat dull animal Elephantosaurus retains an unimpressive 1 star rating among guests, however this is not to say that it is without an interesting side. Like other Dicynodonts with its facial structure Elephantosaurus is an active root eater often rubbing the ground with its face in order to try and find some food beneath. This has in the past lead to some amusing escape attempts where Elephantosaurus have constantly dug until portions of fencing have simply collapsed from poor ground support, thankfully in the modern day this is no longer an issue parks exhibiting this animal have to face. Going by its behavioural set Elephantosaurus in life most likely knew no predators and as a sign of this they show a distinct lack of fear, or for that matter actually caring about anything really, Elephantosaurus is and always has been an incredibly lazy animal, when not eating or drinking most of the time it will be seen sleeping with other members of its herd. Unlike the previous animal we overviewed, Smok, Elephantosaurus is a relatively social creature spending any waking time that isn't spent with food in its mouth socialising with other members of its species and even going so far as to attempt to call to other Dicynodonts elsewhere in many parks and in some cases has been met with open hostility from those they try to reach. Despite their great size Elephantosaurus prefer to stay in larger groups of fifteen or more individuals, this can make keeping them in a park setting quite a challenge through the simple monthly cost of feeding such colossal herbivores, it is not an uncommon occurrence for a park to give their Elephantosaurus herd away to another due to the sheer monetary cost of feeding these lumbering ancient animals. This thankfully rarely causes problems, Elephantosaurus are dull creatures and would accept a Tyrannosaurus rex into their group if it didn't try to eat them, so splitting a herd up, even throughout multiple parks, causes no issues for the animals involved so long as they have other animals to communicate with. This concludes the introduction of Elephantosaurus jachimovitschi, the oldest animal to be brought to the modern day and by far one of the most baffling. We hope that with this guide on their behaviours and preferences that you will choose Elephantosaurus to be a member of your future park. 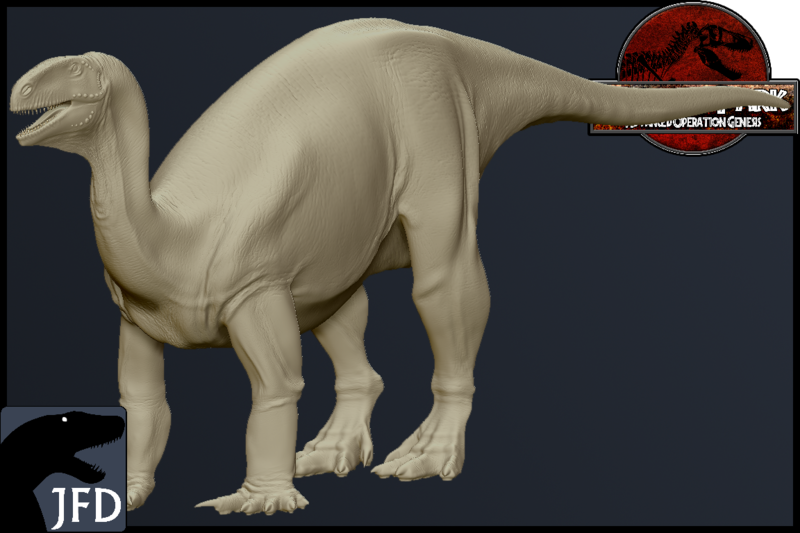 Now we would like to present to you all a small Triassic Prosauropod, Plateosaurus gracilis! A part of the small beginnings of the group that was destined to become the largest animals to ever walk the land and, in a change of pace, is the most normal animal we have looked at so far thus earning it an unfortunate one star rating. Plateosaurus is the single smallest animal we have brought to the present from the Triassic period, measuring in at a meagre 4 meters in length this animal was most likely a highly favoured prey item of Smok, this is however not to say it is without its merits, its small size and gracile body have granted this animal a higher running speed than most allowing it to escape predators like Smok with relative ease. Plateosaurus has another distinct feature, a gargantuan ‘thumb’ claw, this is the beginnings of the singular claw we see on the feet of later Sauropods, so far we’ve not seen this animal implement this claw for things outside of feeding and occasionally support when wrestling for a mate but we currently assume that if cornered by a predator Plateosaurus would not hesitate to use its abnormally large claw as a last ditch weapon to attempt to blind its attacker with a stab to the eye. Socially Plateosaurus is a communal lookout animal, commonly displayed alongside our previously shown animal, Elephantosaurus due to it having a similar social nature and due to the balance the two provide, Plateosaurus with its long neck and bipedal stance has a much greater field of view than Elephantosaurus and actively work as lookouts in the mixed groups. This is however not to say this hasn’t been without risk, there have been cases where Elephantosaurus affection has caused the untimely deaths of individuals, thankfully these cases are rare occurrences as Plateosaurus appears to be naturally aware of the strength behind the dull looking Dicynodonts, suggesting that it lived either near or alongside a similarly large animal. This concludes the introduction of Plateosaurus gracilis, the smallest animal we have managed to bring to this world from the Triassic period and one of the staples of any park. Finally we would like to present to you all a large Triassic Melanorosaurid, Camelotia borealis! The very direct opposite to the previous animal we revealed, Camelotia was the shape of things to come in its group, at up to 11 meters long and weighing in at 10 tons this animal is by far the largest that has been brought back to life from the Triassic in parks across the world. Camelotia is an unfortunate 1 star animal, while it has the makings of an animal within the 2 or 3 star rating pool at this point the fame of ‘Biggest Triassic Animal in the Modern World!’ has worn off on guests making Camelotia altogether an unpopular Dinosaur, often considered as a ‘Long necked hadrosaur with all the interesting bits removed.’ However there is still some love among guests for this animal, while the assessment that it does indeed bear resemblance to a featureless long-necked Hadrosaur it does have its own charm in its facial expression which is often quite quizzical and thus oddly charming to look at. One of the other features that gives Camelotia the little attention it gets from guests lies inside the animals mouth, its teeth. Camelotia has what is probably one of the most horrifying sets of teeth out of all of the herbivorous Dinosaurs brought into the modern world, this however leads into the other reason Camelotia has its own little popularity niche, its claws. Much like the smaller Plateosaurus it sports a gargantuan ‘thumb’ claw, this singular feature makes watching Camelotia displaying or even fighting with each other a delight even to people outside of its niche popularity group. Behaviourally this gargantuan animal is much like the rest of its line both before and after it does almost nothing but eat, and when it’s not eating it sleeps. However this is not to say these animals have no social life, quite the opposite, Camelotia are oddly skittish animals for their size and weight class and become quite nervous if exhibited alone, this is most likely a natural reaction to having no others looking out for predators while an individual continues its life long quest to consume. This is something that can be partially alleviated through exhibiting it alongside other Triassic animals. Most commonly this animal is exhibited alongside Elephantosaurus as a substitute for Plateosaurus as, unlike Plateosaurus, Camelotia is large enough to simply shrug off the affections of the slow witted Dicynodonts. 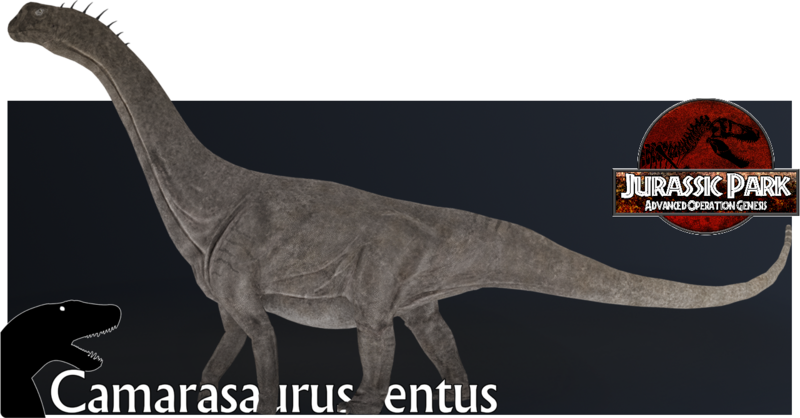 This concludes the introduction of Camelotia borealis, the largest animal we have managed to bring to this world from the Triassic period and a brilliant introductory animal to the world of Sauropods. Thank you all for reading, expect more from us soon. What introduction? You're making the best models for Jpog anyone will ever hope to see. Monkey Puzzles, Dicynodonts & Plateosuars. Oh my. Thank you for the comment Deinocoop! 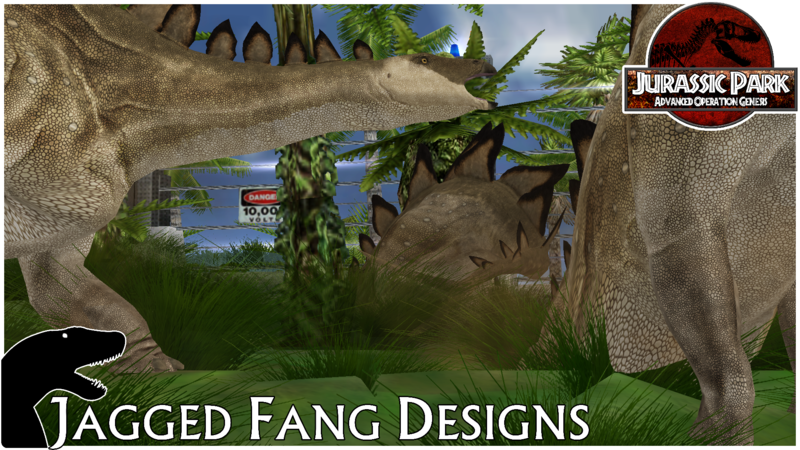 We would like to welcome you all to the end of the Triassic Period and thus the fifth and final animal to be featured from this bizarre era in parks across the globe. 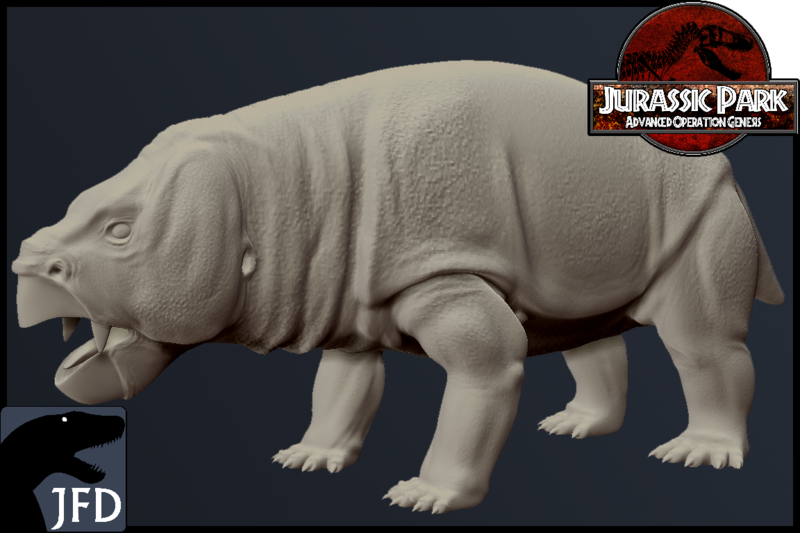 We would like to introduce you all to the second Giant Dicynodont, Niedźwiedzik suleji! A gargantuan animal rivalling and outclassing even Elephantosaurus in size. Like many Triassic animals Niedźwiedzik suffers from an average 1 star rating amongst guests. However, Niedźwiedzik is easily among the most entertaining and fascinating animals to see among the 1 star animals available in parks globally. Niedźwiedzik is legendary among parks for what is quite possibly the worst temperament of any animal, actively competing amongst eachother on a daily basis and chasing off any competition from other species. However when looking into Niedźwiedzik’s history it is unsurprising as to why it has this temperament by nature as it came from the same time and place as the giant archosaur Smok, another highly aggressive animal. It would seem the phrase ‘fight fire with fire’ must have applied to the interactions and evolutionary arms race that produced both of these amazing Triassic Giants. Unlike its Russian counterpart, Niedźwiedzik lacks downward facing tusks and instead possesses a much larger lower jaw and two bony protrusions coming down from its skull in the same area that an Elephantosaurus would feature tusks. This is not the only visual difference between the two, a striking difference between the two is colour, while Elephantosaurus possesses a unique brown and grey blended pattern Niedźwiedzik is almost solidly black, at current we’re uncertain as to why this is but it has been noted that, much like Smok, Niedźwiedzik enjoys spending time around and in water which could suggest the black colouration of the animal aided in absorbing heat from the sun while spending its time wallowing in cold water. The next striking visual difference is skull shape, while Elephantosaurus is in possession of a simple gently sloping skull, Niedźwiedzik has a sharp decline down from its neck and the back of its skull into the rest of its face. The fourth and final identifying factor between these two giants is how muscular they are, while Elephantosaurus is a relatively chubby animal Niedźwiedzik is a body builder by comparison, something that is most likely built up and maintained by these animals constant infighting. As a direct result of Niedźwiedzik’s aggression towards both itself and any other species that dares cross its path most parks only keep a handful of them, where a park may have a whole herd of twenty of more Elephantosaurus it may only poses a mere three or four Niedźwiedzik due to their temperament and the demand of needing to be constantly monitored as it is far from unheard of for Niedźwiedzik’s to inflict quite horrific injuries to each other during their bouts and often times when a clash begins the viewing areas of the exhibit are closed to the public to prevent public outcry at what could be viewed as animal cruelty when in reality it is their solid and unchangeable nature. This concludes the introduction of Niedźwiedzik suleji, the largest Dicynodont to ever roam this planet and easily one of the most aggressive animals from any time period on Earth and our final Triassic animal. You are going to Elevate JPOG to another era! !Fantastic job. Thank you all once more for your comments. Nothing much to say this time other than that we are incredibly ahead of schedule, so in the spirit of that let us enter the next time period of Advanced Operation Genesis! With the end of the Triassic Period we enter into one of the greatest periods in the history of Terra. 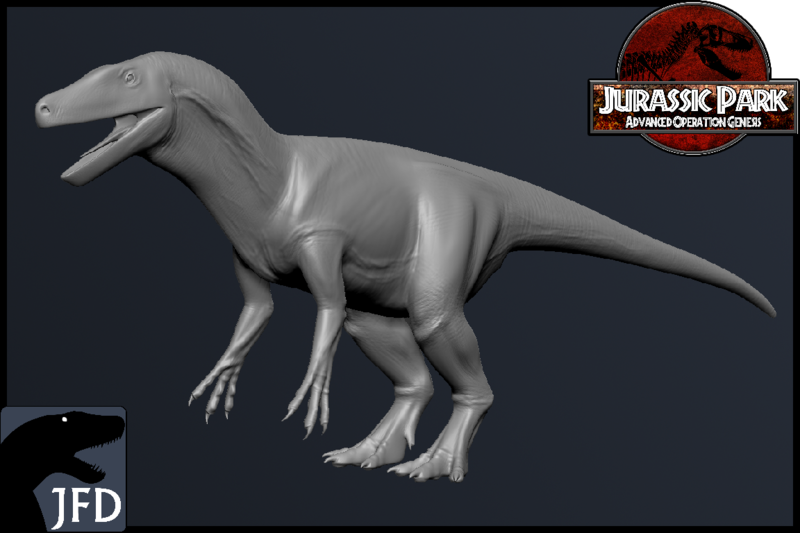 Welcome to the Jurassic Period and we will be starting off this amazing period of time with one of the gems of any park, Ceratosaurus dentisulcatus! Ceratosaurus dentisulcatus is one of two species of Ceratosaurus brought into the present day through modern science, however only C.dentisulcatus proved popular enough and thus profitable enough to remain kept in active parks throughout the world, the second species, C.nasicornis, can be found in a select few research facilities scattered across the globe. The main reason for this intentional ‘re-extinction’ of C.nasicornis is simple, it is not only smaller than C.dentisulcatus but also significantly less bulky making for a much less imposing animal that guests generally found quite ugly as opposed to the oddly graceful and impressive size and bulk of dentisulcatus. Being the larger of the two species Ceratosaurus dentisulcatus of course demands more food, something that can be achieved quite easily as it has been found that both species of Ceratosaurus were in fact quite active scavengers that can digest even partially rotten meat, meaning most parks often feed discarded leftovers from other carnivores to Ceratosaurus, leading to an efficient recycling engine. This tendency to eat almost any kind of meat presented to it may also be the secondary reason why dentisulcatus prevailed over nasicornis, with its slimmer build and smaller size nasicornis eats considerably less than its cousin and is thus also a significantly less ‘useful’ attraction. Despite all this Ceratosaurus dentisulcatus is a meagre 2 stars, similar to the last medium sized carnivore we looked at, Smok wawelski, however those two stars are incredibly well earned and some parks often categorize Ceratosaurus dentisulcatus as a 3 star animal due to a variety of reasons. The first being that, unlike the majority of carnivores from the Mesozoic, Ceratosaurus is quite tolerant of other members of its kind, going so far as to actively socialise at times with other members and even becoming quite lethargic if kept alone, however it has been found that an upper limit of three animals is about all Ceratosaurus can stand of its kind, understandably so given how much they eat. One of the other reasons Ceratosaurus has gained such popularity is its skull ornamentation, featuring a nasal crest and two brow crests, the nasal crest featuring a vivid red mark while the brow crests feature a unique mix of blacks and blues, this somewhat elegant patterning is almost comically out of place however when one looks at the face of this animal. Ceratosaurus dentisulcatus, as has been noted ever since it was brought back, has the face of a clown, and with its mouth open it looks somewhat like it is both telling and laughing at an incredibly corny joke it has just told, something that almost all who view this animal find amusing to an extreme point. This concludes the introduction of Ceratosaurus dentisulcatus, the ‘most hilarious’ of the Jurassic animals brought into the modern world and the first of the Jurassic animals we will be introducing you to. You sir are going down in history for your contributions to this fandom. Barely a year ago this was thought impossible, (a lot like de-extinction in fact) but here you are showing what more potential this game has! Incredible. This is perhaps some of the greatest work ever put to JPOG. Fantastic, simply fantastic work. 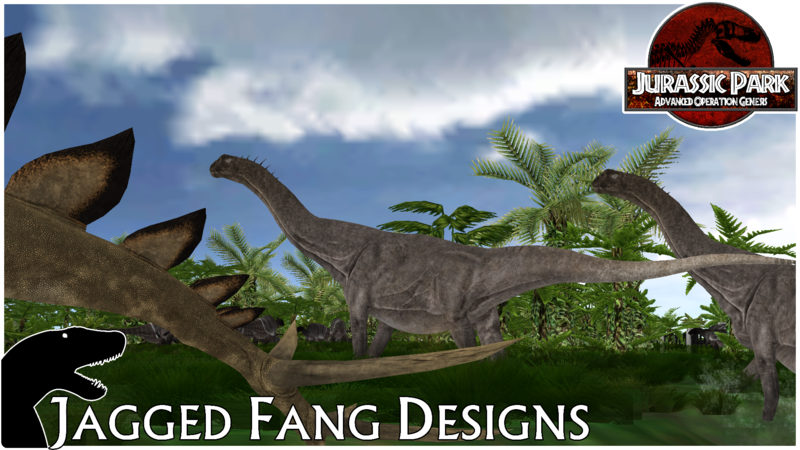 I never thought we'd have a real Plateosaurus and Dicynodonts in the game. Magnificent work. 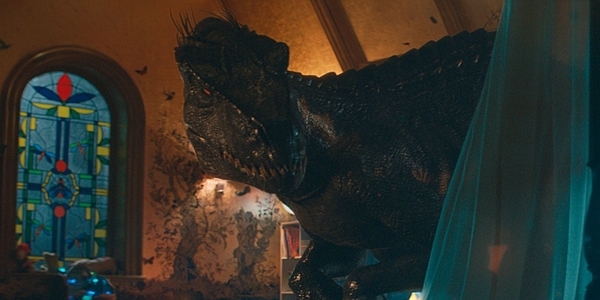 Can you make a HD indominus Rex model from the movie ?????? 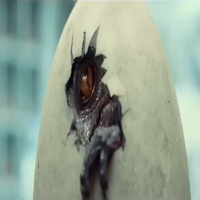 Thank you all for the positive response to our first dip into the Jurassic period! 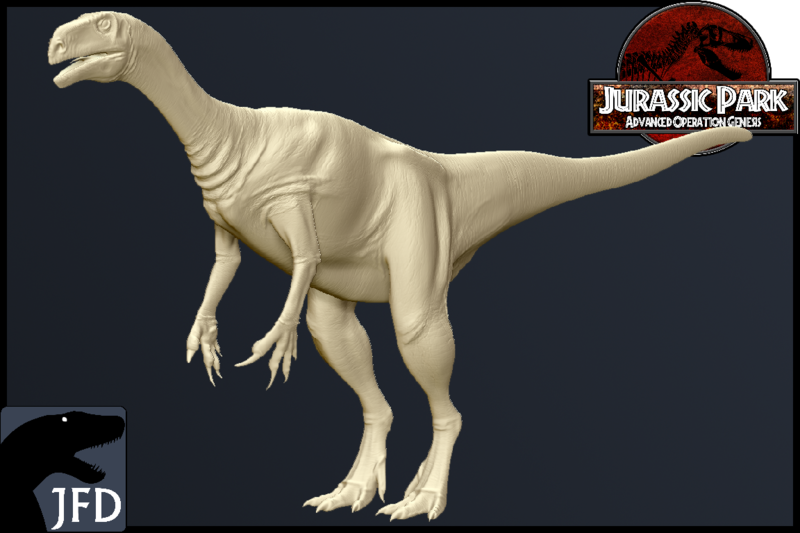 Not many questions to address here this time around, to address the one question here we have no intention of making any animals in the style of the Jurassic Park Franchise nor do we intend to make creatures from the franchise like Indominus rex. Now without further delay we bring you this weeks update! 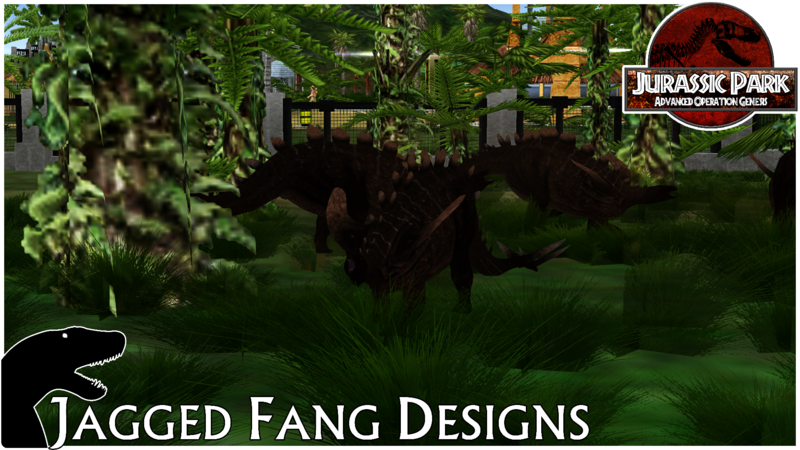 We continue the journey through the fauna that has been brought back from the Morrison Formation with a one-time famous animal and now a simple attraction in the majority of parks, Stegosaurus ungulatus! Stegosaurus ungulatus is one of three species within the genus Stegosaurus and the most commonly found in parks across the world simply due to it being somewhat unique compared to the other members of the genus, though these subtle and one time fascinating differences have lost most fancy in the eyes of guests they are still worth noting and are still a subject debate among researchers as to whether S.ungulatus should even be within the genus Stegosaurus. One of these minor differences between Stegosaurus ungulatus and the other two species of Stegosaurus is its plate arrangement, unlike both stenops and sulcatus S.ungulatus features a twin pair of symmetrical plates just before its thagomizers whereas both other species have an asymmetrical arrangement of plates in their entirety, the other, more major, difference comes in the form of the animals actual plates which are distinctly more ‘sharp’ in appearance to both other species making it very easily identifiable among a group of all three of them. The other and most obvious difference between ungulatus and other members of the genus is its size, Stegosaurus ungulatus towers over all other species of Stegosaurus at a staggering 9 meters in length with proportionally large thagomizers to match. With all of these features one could expect S.ungulatus to be a 3 or even 4 star animal, however ungulatus is an inactive lump of an animal much like many larger-bodied Dinosaurian herbivores in captivity, an understandable side effect of having the majority of your food being provided for you. The secondary reason is due to most of the more interesting behaviours displayed by Stegosaurus is reserved almost exclusively for when the animal feels threatened, a somewhat rare occurrence unless a predator of considerable size has broken into their exhibit, amusingly however it seems most predators are deterred simply by how Stegosaurus looks alone with few exceptions such as Smok and Tyrannosaurines. This has sadly made Stegosaurus a rather unpopular attraction overall despite its previous fame before it was brought back, and it is for this fame and this fame alone that Stegosaurus ungulatus maintains a 2 star rating as opposed to a singular star. This concludes the introduction of Stegosaurus ungulatus, a mildly tragic fallen star of Morrison, going from fame in death to being almost forgotten in life. Once again we give thanks for the positive feedback! Today we will be looking at a common sight across parks worldwide, one that may not be particularly special in any regard, but is a staple to every last park, Uteodon aphanoectes! Uteodon is what one could describe as the ‘ideal herbivorous Dinosaur’, being 6 meters long and a flocking animal it fills the role that animals like Zebra or Wildebeest would normally take up in zoos and parks featuring animals from the modern era. A trait that helps them fill this niche is their almost infinite compatibility with other animals even those from differing eras, it is in fact not uncommon to see mass exhibits featuring Uteodon alongside animals such as Plateosaurus and Camelotia, of course exhibits where it is featured alongside other animals from its time period and location are often those preferred by guests however. Socially, as mentioned previously, Uteodon is a flock animal, preferring to stay in large groups of its own kind, typically these flocks will be over 30 individuals strong in ideal conditions, however most parks cannot afford the cost of maintaining such a huge group of large herbivores, thus they opt for smaller flocks of 10 to 15 individuals and let the presence of other animals in the exhibit fill up any other socials needs caused by the smaller flock size. A second side effect of this mass flock size is that Uteodon exhibits MUST be large, Uteodon is an animal that evolved to run and it is an activity it much enjoys partaking in, thus even small groups of Uteodon need enclosures approximately 50 to 60% larger than other animals their size simply to allow for them to run about and enjoy life, this is the secondary reason as to why most parks only carry smaller groups of this staple animal. As a staple animal however Uteodon is not very popular, to compare it to a Zebra in this would be accurate, while everyone thinks ‘Yes I’m going to see some Zebra’s at the zoo’ when they actually get there they flatly do not care, the same can be said very easily for Uteodon, thus earning it a singular star rather than a higher rating. This concludes the introduction of Uteodon aphanoectes, a true staple to any and all parks exhibiting prehistoric life. Thank you for your comment Levine. Before todays update we would like to appologise, due to last weeks update being posted early we neglected to update here and that leaked into this weeks update also, however updates should be on schedule here from now on! Now at last, we move into this week’s update! Today we will be looking at one of the first Sauropods to be brought to the modern world, a denizen of the Morrison formation and among the most commonly found animals of its time, Camarasaurus lentus! Camarasaurus lentus is a middling sized Sauropod, at a mere 15 meters in length this is among the most easy to keep Sauropods in the world and as such sees wide utilisation in a majority of parks and can even be seen as a primary attraction for smaller ones unable to cater for more rambunctious popular animals. This wide utilisation has garnered Camarasaurus a huge amount of love in the public’s eyes, going from a little-known Sauropod among the general populace to a famous celebrity of an animal in but four years after the first adults appeared in global parks. There were a number of factors for this surge in popularity especially when compared to other larger Sauropods, the first and most obvious factor being availability. Much like our previous animal, Uteodon, Camarasaurus can be observed globally so there is no real monetary barrier preventing the common person from seeing this animal earning Camarasaurus the somewhat charming title of the ‘Working Man’s Sauropod’. The secondary reason for this popularity is its appearance, unlike other Sauropods of its size Camarasaurus looks fairly unique featuring things such as a small row of spines just behind its skull and a large, muscular body making it something quite memorable when seen in person be it for the first or millionth time over. Camarasaurus as an animal is about as social as any other Sauropod, preferring to be kept in groups of four or more individuals, something that can be supplemented by exhibiting it with other large herbivores or a large amount of smaller herbivores such as Uteodon. Despite everything mentioned above, Camarasaurus is a middling animal in terms of star rating, while loved worldwide it has become such a common sight that it is often relegated to the back of people’s minds when visiting parks with alternate and larger Sauropods to view. This has sadly earned Camarasaurus a meagre three star rating. This concludes the introduction of Camarasaurus lentus, a true staple to any and all parks exhibiting prehistoric life. 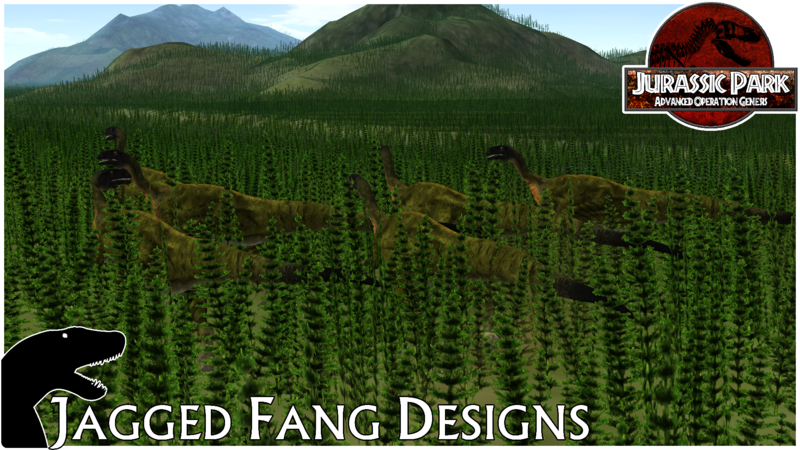 Now we break away from the Morrison formation this week and pay a visit to fauna from another prominent Jurassic era formation often featured in Mesozoic parks, Dashanpu, and we start this unique formation with a peculiar little Stegosaurian, Yingshanosaurus jichuanensis! 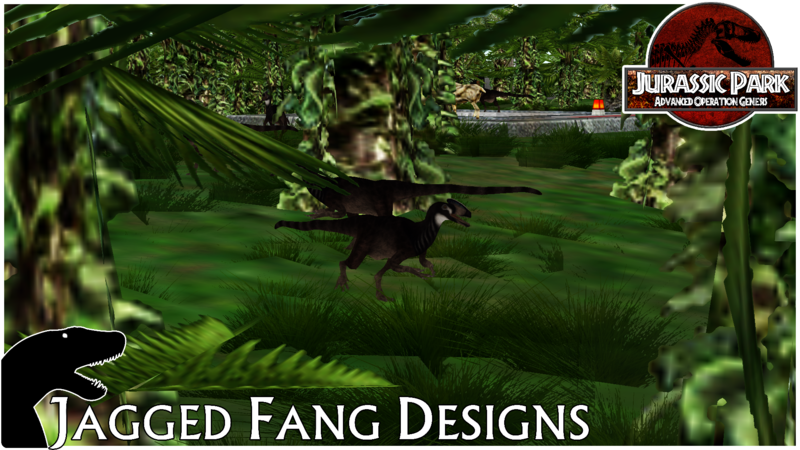 Yingshanosaurus was a rather peculiar find at first for many in the industry when it was initially reintroduced to the world; no one had quite seen anything like it. Sporting a minute four meters in length and being barely over a meter high, Yingshanosaurus is the single smallest Stegosaurian brought into the modern era and amusingly has been able to maintain its star rating throughout its time in the modern world unlike its larger relatives. The factors that have led to this odd dynamic of both of the most prominent Stegosaurians in parks having the same star rating are strange but not entirely unexpected. The first of these factors is fossil fame, prior to being brought into the modern world Stegosaurus as a genus was widely known and heavily popularised through media, however Yingshanosaurus was almost exclusively reserved for those with a deep interest in Dinosaurs and even then it was often overshadowed by Gigantspinosaurus, a fairly similar animal in terms of appearance. This lack of a pre-existing expectation for it as an animal lead Yingshanosaurus to maintain its two star rating while Stegosaurus experienced a fall from fame. The next factor that contributed to this is size and thus how widespread each animal is in parks, much like our previously discussed animal, Camarasaurus, Yingshanosaurus is readily viewable in parks globally of all sizes and replaces Stegosaurus as an attraction in a majority of smaller ones. The third and final factor that has allowed Yingshanosaurus to remain as it is in the eyes of the public is that it has several unique features that differ it from Stegosaurus and other animals its size and even some above its size range, the most primary of these being its shoulder ‘spikes’, these ‘spikes’ are oddly flat but also entirely blunt and, due to their strange kink, almost seem like bony wings protruding from the animals shoulders, something the general public has picked up on and has thus made Yingshanosaurus the but of many jokes in regards to it having ‘dreams of flying’. Socially speaking Yingshanosaurus is a group animal rather than a full herd one like Camarasaurus or Uteodon, instead it prefers to live in small, tightly knit clans of 5 or 6 individuals, often communicating by stirring up foliage with their tails rather than calling to eachother thus rendering an exhibit featuring them as eerily silent bar the soft rustling of foliage as they disturb it either intentionally or unintentionally. This unique form of communication between group members is something most people within the scientific community are uncertain of, while almost all other Dinosaurs communicate through vocalisation this is the first time communication of this nature has been seen, thus some theorize that this behaviour was an adaptive response to captive conditions while others have shot this down simply stating that, in the two decades Yingshanosaurus has been exhibited, enough time for such a drastic behavioural change on a species wide level simply hasn’t passed and that this must be a natural behaviour, something that has some more backing by the evidence that their natural environment in the past would have been quite heavily forested. This concludes the introduction of Yingshanosaurus jichuanensis, a tiny and adorable Stegosaurian and a wonderful alternative or even counterpart to Stegosaurus for any park to have. We continue our tour of Jurassic China with a small theropod with distant relations to the proclaimed Tyrant Lizard King, Guanlong wucaii! Guanlong wucaii has an incredibly long history in Mesozoic parks and even in zoos, among the first prehistoric animals brought into the modern world it was a quick hit globally and was thus featured actively in zoos that contained small prehistoric sections for the few animals that existed in captivity at the time, this however was not something that would last. After the first year in the world it was noted that Guanlongs kept in captivity were often highly stressed, refusing to eat and gnawing through their feathers in a display of frustration, some even going so far as to perform elaborate and quite fearsome displays towards guests and each other prompting a wave of backlash against the keeping of prehistoric animals in zoos. 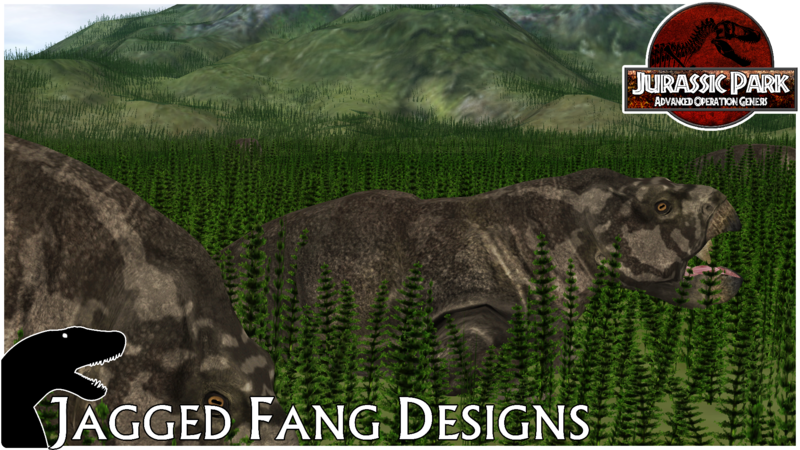 Controversy was rife globally over the conditions of prehistoric animals with Guanlong being the leading animal in it all and, surprisingly, being the only animal to have been found in such conditions widely. Quite quickly research staff from the facilities along with experts in animal behaviour began to observe the Guanlongs closer and present them with a wide variety of different environments; all of these were met with failure. This was thankfully not to last, after half a decade of research and with the captive population of Guanlongs outside of research facilities reaching an all-time low point the solution to the issue of the stress that had plagued the species throughout the now six years it had been present in the modern world was finally found. The solution in question was to keep Guanlong in swarms, groups of fifteen or more animals proved to be the most effective at removing stress caused by lack of direct social contact with the rest of their kind, something that most zoos could not provide within their smaller prehistoric sections. This was the birthplace of parks dedicated to Mesozoic animals, with regular zoos unable to provide for them new parks opened up on huge plots of land designed for the now slightly larger collection of Mesozoic animals available to the world to be housed in comfort while also turning a profit and Guanlong with its massive swarms of over fifteen animals proved to be a prime attraction in a time when large-bodied Dinosaurs weren’t available. 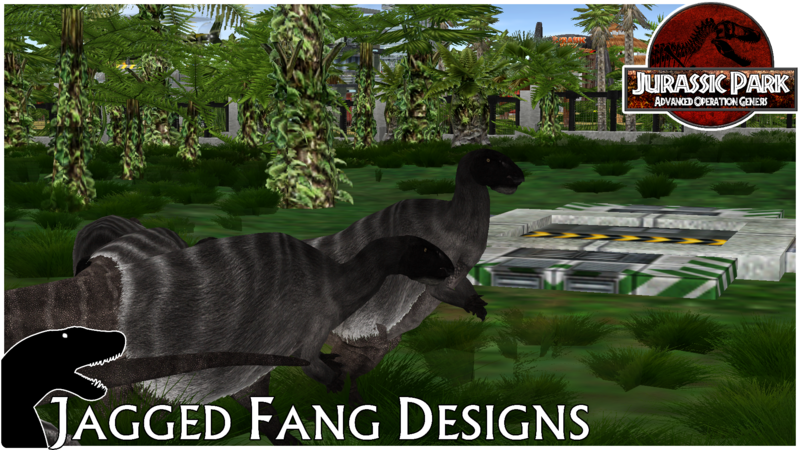 In modern times Guanlong swarms may not be a prime attraction as they once were but they are actively seen in parks as both a captivating attraction but also a historical tribute to the animals that founded the modern park industry. 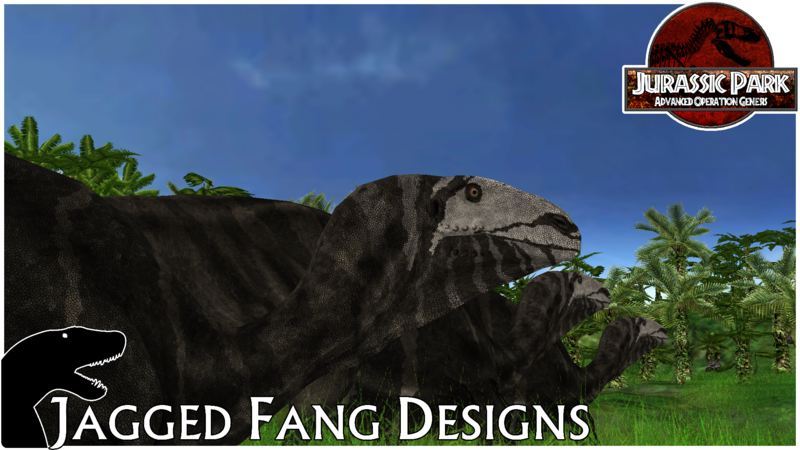 However while this animal may be popular amongst staff and researchers for its part it played in the industry the public is not so forgiving, with newer, larger and more interesting Mesozoic animals available to view Guanlong unfortunately sits at a 2 star rating in modern times. 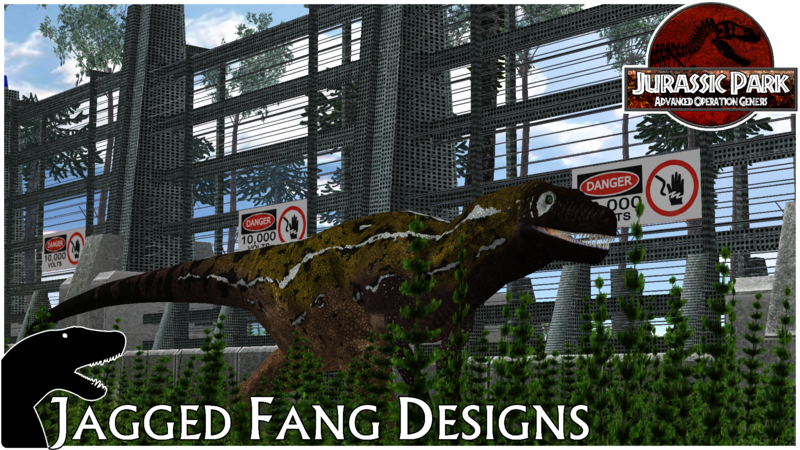 Of course for smaller parks this animal, much like Camarasaurus, is given a higher rating due to its wide availability and thus its ability to take the spot of a more demanding larger predator being both easier to care for and easier to contain. This concludes the brief history of Guanlong wucaii, quite possibly the most important animal brought back from the Mesozoic for birthing the modern park industry. This... This is absolutely amazing. I thought this would never happen. 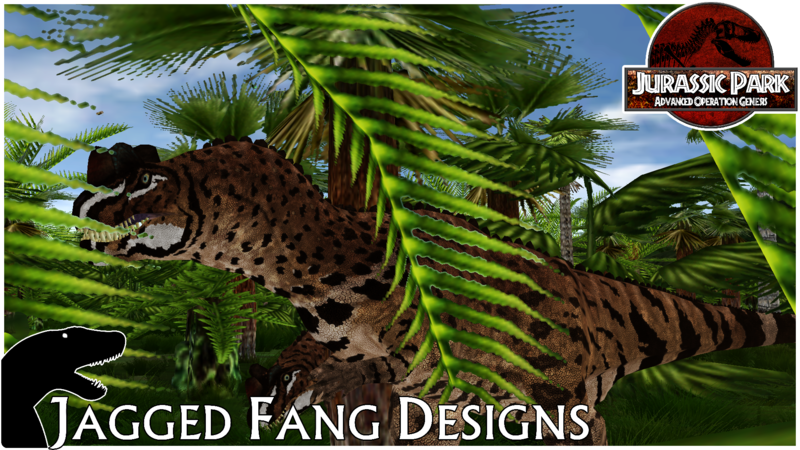 I love these new animal models, which are cool enough, but may I ask if you'd be able to create new building models as well? I know you can't add new animations, but I'd personally love to see an authentic, honest-to-goodness Hunting Platform. Too bad my aunt's computer is the only one which plays JPOG, and she has no internet. Otherwise I'd download the released files in a heartbeat.